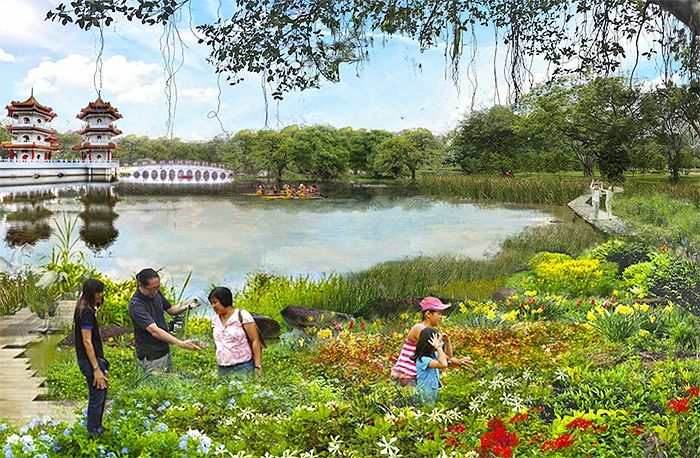 The official masterplans for the development of the eastern and central parts of the Jurong Lake Gardens were revealed, which will complete the jigsaw for the national garden spreading across 90 hectares of land area within the heartland. The plans are part of the big picture – the mega transformation for the Jurong Lake District, which has been deemed as the 2nd Central Business District of Singapore. The suggested plans will see the Japanese and Chinese Gardens (which were built during the 1970s) being refurbished and upgraded with a brand new community space, aquatic and tropical gardens, as well as F&B outlets. The Jurong Lake Gardens will set to be the 3rd national garden of Singapore – alongside Gardens by the Bay and the Singapore Botanic Gardens. As many of the residents in Jurong have fond memories of these gardens, Mr Lawrence Wong (Minister of National Development) has reassured the residents that the iconic landmarks within the gardens will be preserved in the Jurong Lake Gardens – such a the connecting bridge, the pagoda, bonsai garden and the tea house etc. Residents around the area will get to enjoy a rejuvenating waterfront promenade along Jurong Lake’s eastern shore – together with a water gallery trail which will spur the interest of leisure boaters for exploring art and nature. Property analysts said that the rejuvenation plans of the 2 Gardens will give the area an identity of its own and blends in perfectly with the surrounding property developments, such as Caspian, Lakefront Residences, and the newer ones namely Lakeville and Lake Grande. Development works will commence as soon as the western segment of the Jurong Lake Gardens is completed in 2018 and the NParks expects the whole project to be completed progressively from year 2020 onwards.